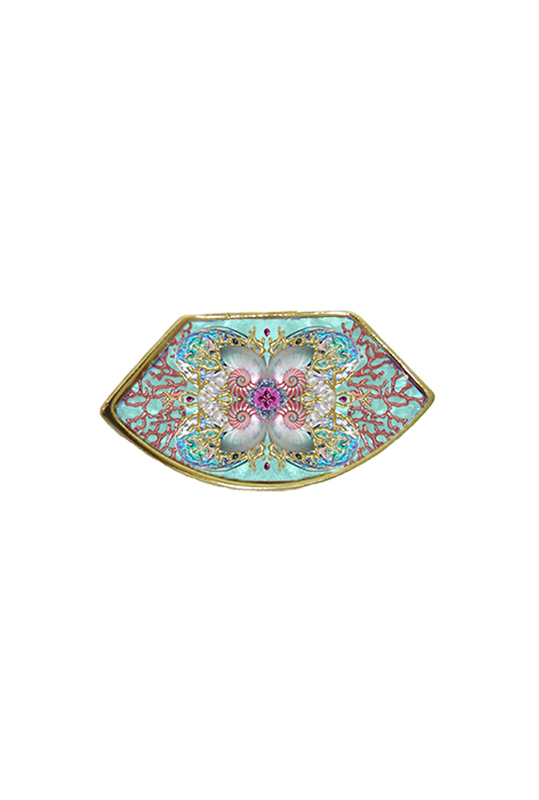 Both exotic and chic, this beautiful enamel Neptune Treasure Aqua ring is a true statement piece. The diverse treasures under the sea served as inspiration for creating this 24K gold plated ring. In Roman mythology Neptune is the god of the sea and the counterpart of Greek god Poseidon. This unique and vibrant gem adds a jazzy flavor to any outfit – day or night – fusing the ease and carefree lifestyle of a gypsy with the sophistication of the yet set. For a fiercely glamazon and cheery effect, you can combine the ring with the matching earrings or with a mix and match of multiple enamel bracelets. Product code: FA-AN-50 Categories: Suggestions, Under 200, Rings. 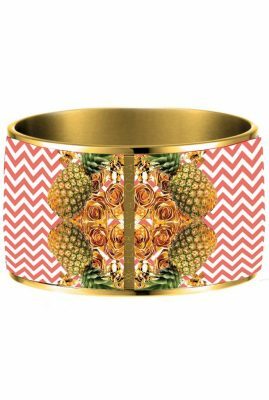 All FLOR AMAZONA jewelry is hypoallergenic and nickel free. 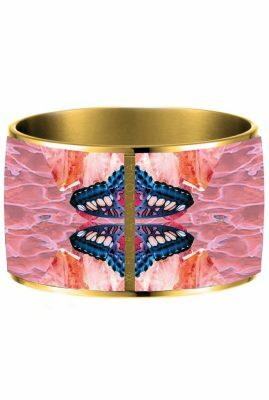 The metals used are Gold, Rhodium and Rose Gold plated brass and 316L Stainless Steel. Both exotic and chic, these beautiful enamel Neptune Treasure Aqua earrings are a true statement piece. The diverse treasures under the sea served as inspiration for creating these 24k gold plated earrings. In Roman mythology Neptune is the god of the sea and the counterpart of Greek god Poseidon. 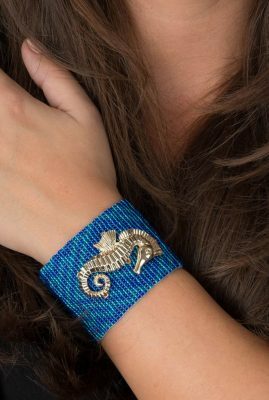 This unique and vibrant gem adds a jazzy flavor to any outfit - day or night - fusing the ease and carefree lifestyle of a gypsy with the sophistication of the yet set. For a fiercely glamazon and cheery effect, you can combine the earrings with the matching ring or with a mix and match of multiple enamel bracelets. All woven and glass beaded wristlets are entirely handcrafted by indigenous tribes living in Colombia’s tropical rainforests. Each piece represents over forty hours of handwork. 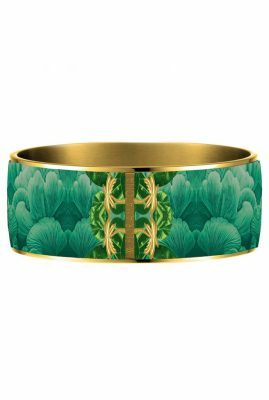 As a celebration to this native artistry, La Pacific Orange is een armlet inspired by the extraordinary colors of flowers that can be found in the Amazon. 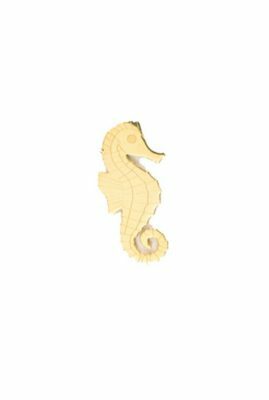 The embellishment is a 24K gold plated seahorse representing the sea life of the Pacific Ocean. By combining traditional bead weaving with 24kt. gold plated ornaments, these Latin luxe bracelets are captivatingly festive and unique.